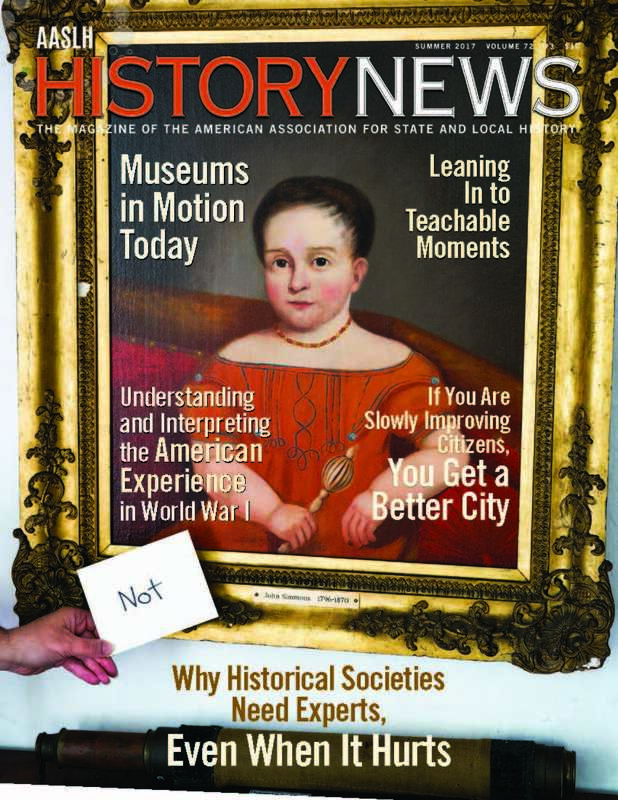 History News is the official magazine of AASLH. It exists to foster publication, scholarly research, and an open forum for discussion of best practices, applicable theories, and professional experiences pertinent to the field of state and local history. 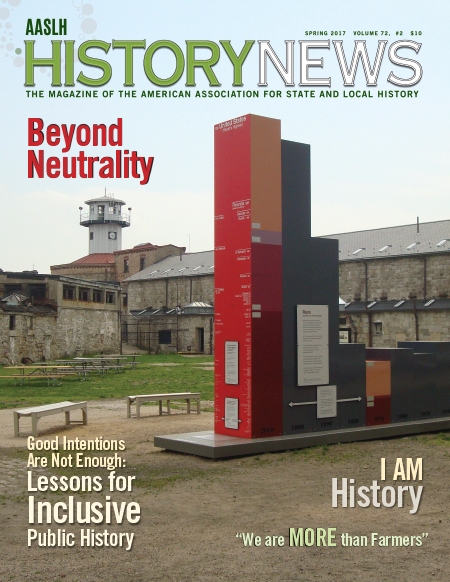 A History News subscription is a benefit of AASLH membership. Each quarterly issue includes featured articles, regular columns, and a Technical Leaflet. AASLH Members can access three years of past issues, free, right here. Non-members can purchase digital issues for $8 each. Looking for an issue older than three years? All issues are sent to JSTOR. 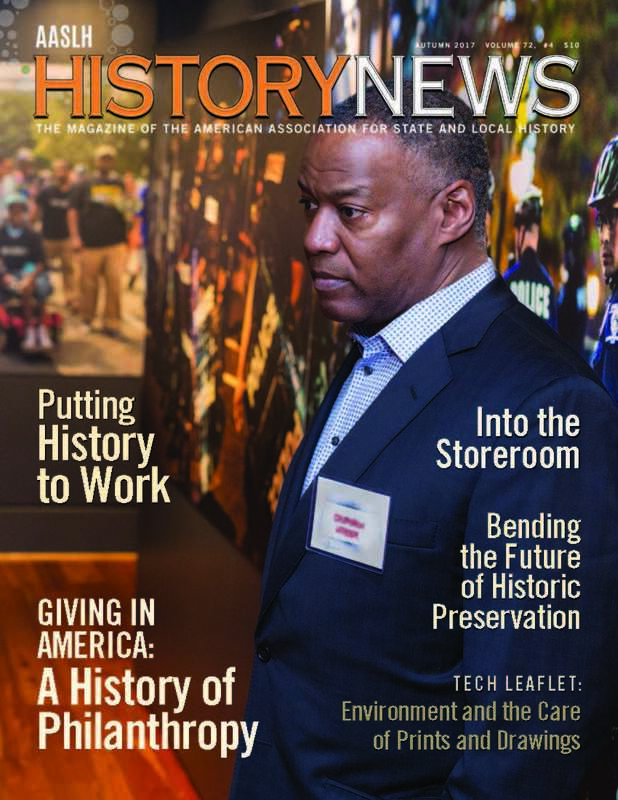 AASLH members can get free access to History News on JSTOR. 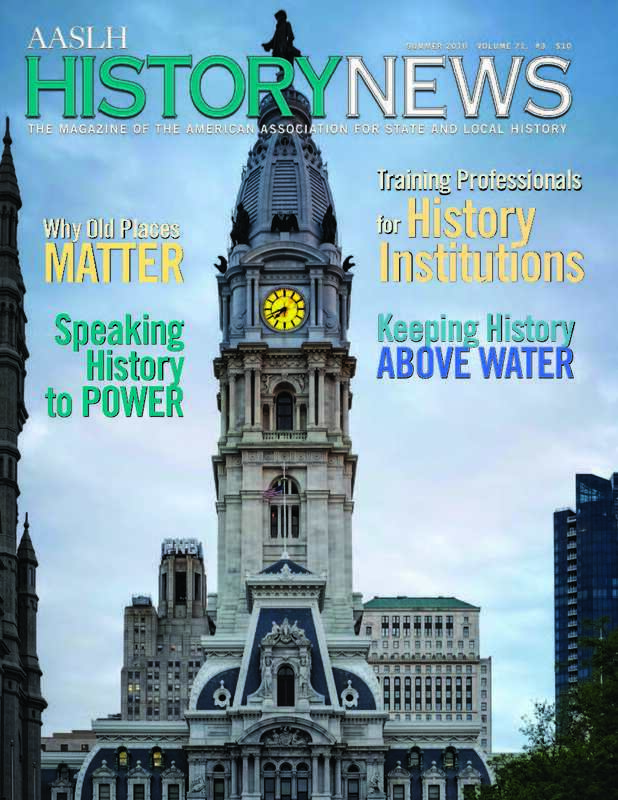 History News is the official magazine of AASLH. Each quarterly issue includes featured articles, regular columns, and a Technical Leaflet. 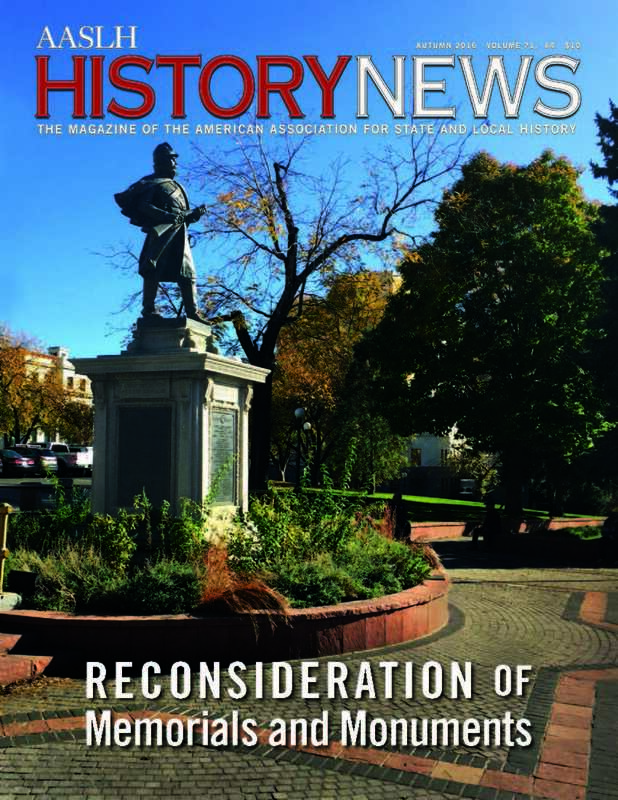 This is History News Winter 2019 Volume 74, #1.